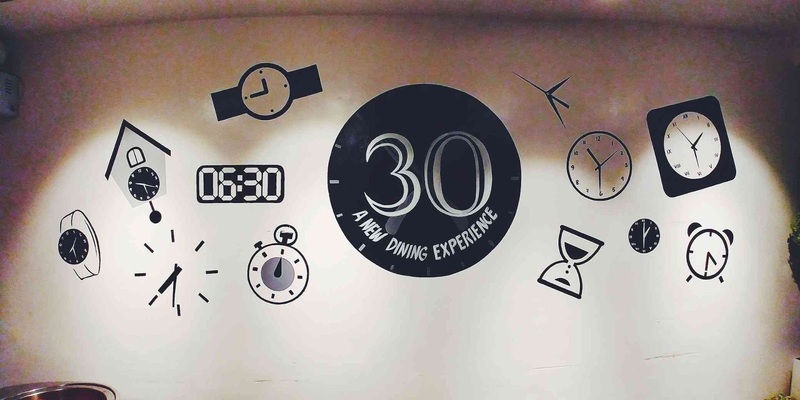 30 Buffet Restaurant introduced me to the concept of timed eat-all-you-can meals. 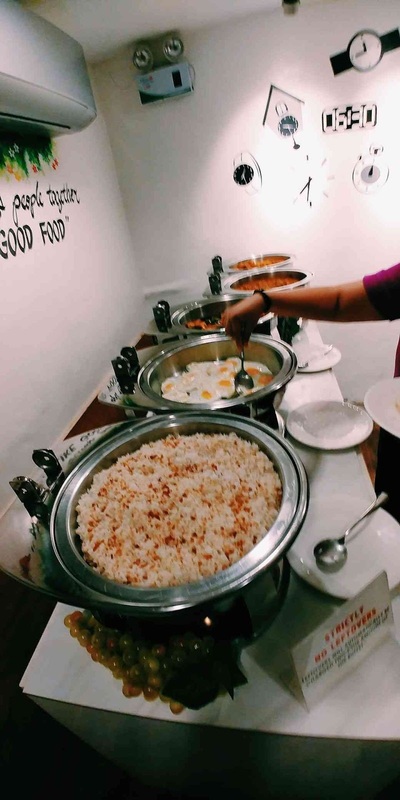 For 30 minutes, guests are free to get whatever they want from the buffet spread, that includes soup, rice, viand of the day, and drinks which is either coffee or iced tea. As with any other buffet restaurant, you are not allowed leftovers on your plate. 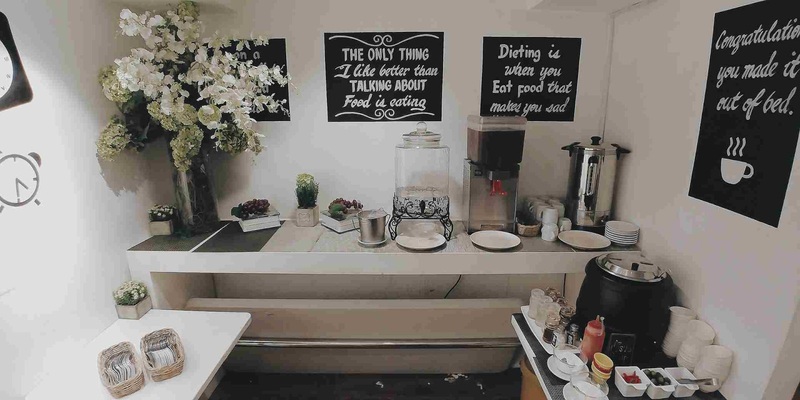 The concept of timed buffet is very new to me. I have not previously encountered any restaurant that offers a dining experience that is similar to 30 Buffet’s. While it may sound like it puts a lot of pressure to diners, this should not deter curious customers from trying out this restaurant. Based on my experience, the servers are not very strict with regard to implementation of the 30 minute limit to get food. I have tried 30 Buffet way back in late 2017 when my boss invited my supervisor and I for lunch. 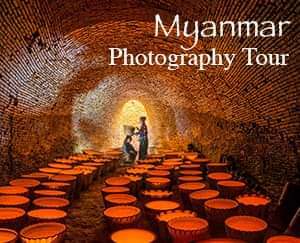 We readily accepted the invitation out of curiosity and we quite enjoyed the experience. During that time, the lunch menu consisted of soup, chicken pork adobo, pakbet, fruit salad, iced tea, and coffee. Note that drinks are also unlimited. Early this January, Ynah and I have been going home to Novaliches because of the shortened work week after the holidays. Coming from Novaliches to Makati, we had to leave home early in the morning in order to avoid the heavy traffic and make it to the office just in time. The huge time allowance meant that we always arrived in Makati an hour before work started. This gave us the opportunity to have breakfast, which we liked because the long travel time left Ynah and I famished. Since we had a lot of time to spend, we took advantage of the chance to have a warm and filling breakfast. I have long told Ynah about 30 Buffet and this was the time to try it. Since it was early, we were the first customers to arrive at 30 Buffet. If you do not fancy an eat-all-you-can meal, the restaurant also offers a la carte options. We settled the bills immediately and we were given a sheet of paper with our time in. After settling down on our table, we were ushered by one of the servers to the buffet area. 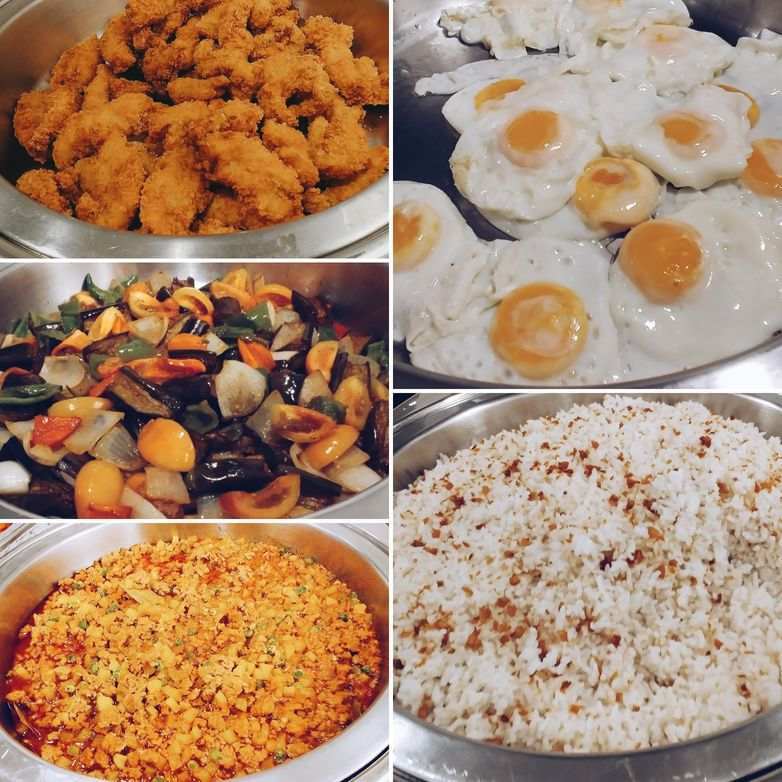 At the buffet spread was garlic fried rice, pork giniling, fried eggs, sautéed vegetables, and fish fillet. There was also mushroom soup as well as unlimited iced tea and brewed coffee. This combination from 30 Buffet is not really your typical breakfast food but it turned out good. The pork giniling was delicious, it was flavorful and tasted like it was home-cooked, not the typical carinderia variety that we often try in restaurants. This is one dish that 30 Buffet does pretty well. 30 Buffet’s sautéed vegetables, meanwhile, consisted of sliced eggplant, quartered tomatoes, shreds of onions, and chopped garlic. It was actually a good side dish, especially because the vegetables used were fresh and not overcooked. It had Spartan seasonings of salt and pepper but the simplicity of it brought out the freshness of the vegetables. I also took a few pieces of the fish fillet just to sample it but as I often say, it’s my least favorite in any restaurant or special occasion. It was a bit dry, obviously because it was cooked ahead of time but it was still pleasantly crunchy. Also If you love eggs, then have you can have your fill of as many fried eggs as you want at 30 Buffet. As I had mentioned earlier, coffee is free-flowing at 30 Buffet so caffeine lovers could satisfy their morning fix while having breakfast. 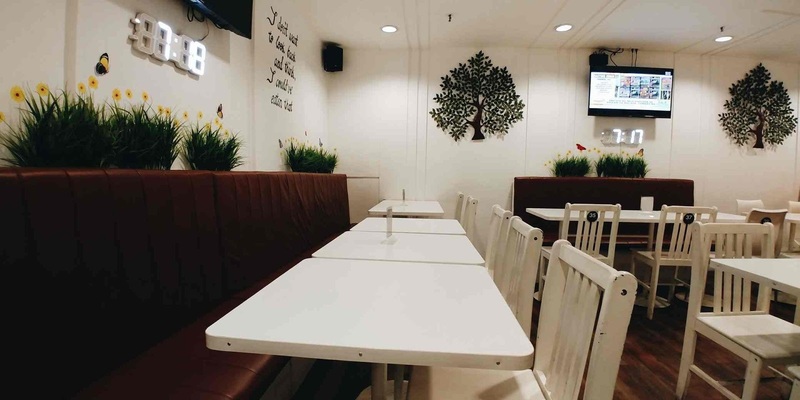 30 Buffet, one of the most affordable buffet restaurants in Makati, is located at Heart Tower, 108 Valero Street, Salcedo Village, Makati City. For their a la carte menu, you may check here.